Hot Dog, We're Having Fun! Hot Diggity and I started our "Hot Dog Joint" to have fun. It's been a lot of work, but we are certainly having plenty of fun. I'm smiling today because one of the "Hot Dog Joints" that Hot Diggity and I frequent (many times The Hot Dog King joins us) called Tradewinds Cafe, stopped in to try out Yank's Franks. Not only did they try us out, but they were kind enough to post an awesome review of their experience on their, and our, facebook page. Actually, Tradewinds Cafe is much more than a Hot Dog Joint. As the photo of a portion of their menu indicates, they have an awesome variety of choices, and their setting on Route 1 in Arundel is ideal. The first weekend of the Fall season and Yank's Franks is introducing Yank's Beantown Chili. Chili lovers take note...this isn't a chili for the masses. This chili is for "chili lovers." Our Yank's Beantown Chili is different from our hot dog chili. Our Certified Angus Steak Chili is still being smeared on every chili dog you'll enjoy at Yank's Franks. It goes perfectly with our awesome hot dogs. But, if you want a cup of chili that will keep you warm on a chilly Autumn day, you need to come to Yank's Franks and try our Beantown Chili. Add cheddar cheese and a Yank's Franks Root Beer and it's Foodie heaven. Yank's Franks Beantown Chili is so good, if it were served at a Superbowl Party, it would guarantee a Patriots win. Frankly, we serve some amazing chili! Shortly after we came up with our name, Yank's Franks, we decided to secure a URL because we knew we would want a website. I attempted to get, http://www.yanksfranks.com/. Unfortunately, that URL was taken. There was no active website, but we figured with all the Yankees fans (just for clarification purposes...we aren't Yankees fans) somebody probably secured that URL to sell a New York version of Fenway Franks. We had to settle for our second choice, http://www.yanks-franks.com/. As cumbersome as that little hyphen is, it's better than no website. The really good news is, I was recently in touch with the owner of http://www.yanksfranks.com/ and after some very tough negotiations, we have purchased the URL we wanted. Don't click away too soon. Our new website is currently under construction and we'll let you know when it is ready to go. Frankly, we'll have a GREAT website! Oh, if you know anybody that's looking for http://www.yanks-franks.com/, there's a commission in it for you. Oh, one last thing, GO RED SOX! 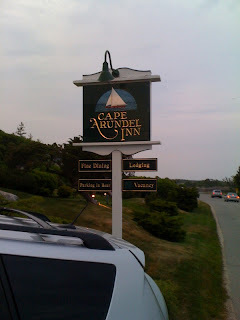 Jack Nahil, owner of The Cape Arundel Inn, the finest restaurant that Hot Diggity and I have ever had the pleasure to experience (we have had our anniversary dinner at The Cape Arundel Inn every year for the past 8 years) has written about his visit to Yank's Franks. 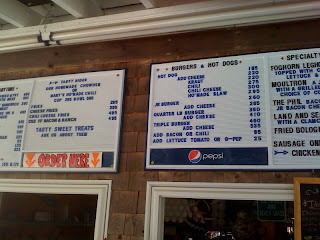 Jack writes, "Just had the best damn hot dog with great mustard and sauerkraut. Hmmmnn. And the fries were heaven. Perfect. Everything was so good it even made the Coke seem special. Where? YANK'S FRANKS IN WELLS. 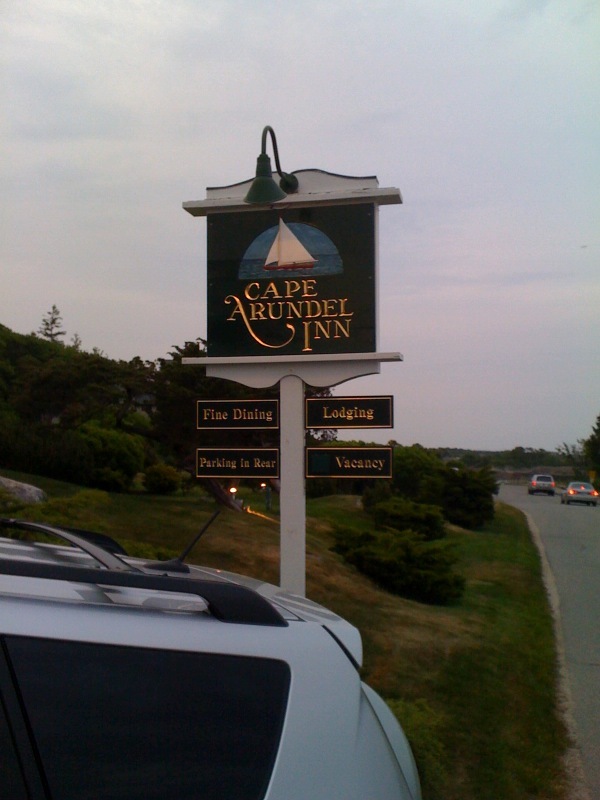 omg"
The Cape Arundel Inn is located on the bold oceanfront, directly across from President Bush's Compound. Don't think for a moment that they rest on those credentials...everything that Hot Diggity and I have had there has been outstanding. So, you see, this is very high praise from such an outstanding restaurateur. We are very proud to get such a brilliant review. welcoming you as you arrive. 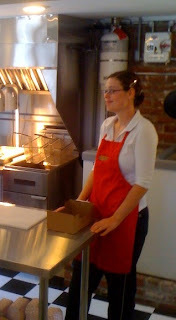 They are a great team and will provide you with a pleasant experience and a delicious and memorable meal. On the weekends you'll find Yank and Hot Diggity (Hot Diggity will be the one with the big smile). No matter when you come to Yank's Franks, we will give you a great meal and we'll make you feel welcome. You will be treated like we want you to come back for more. After a visit just a week ago, The Hot Dog Blog gave great marks to Yank's Franks. In the words of The Hot Dog Blog, "...Yank's is a fantastic Hot Dog Joint...they do serve a wonderful hot dog." Mike and his beautiful wife, Samantha, have promised to return. In turn, I promise nobody (including our customers) will try to put him to work again (you'll have to read his September 3, 2010 article to understand this promise). 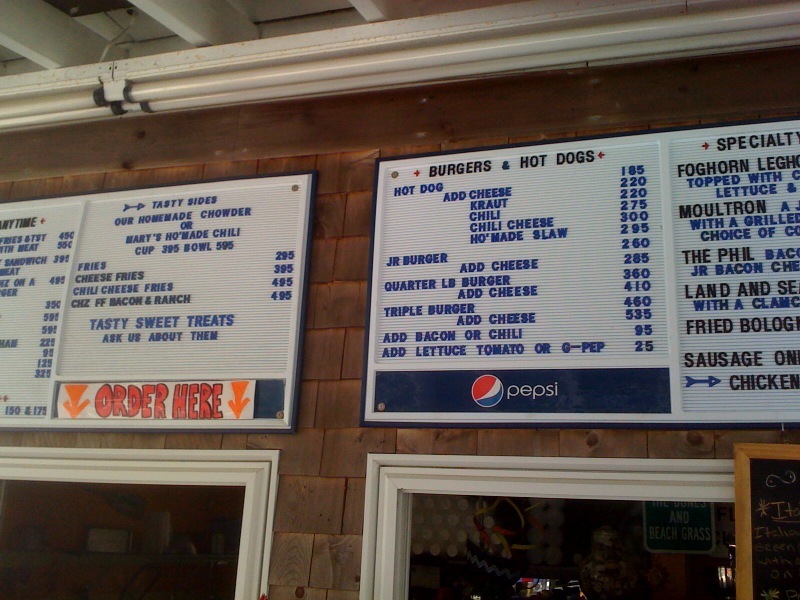 When they return I'm hoping they'll try our Wells Beach Dog and our Chili Dog. I played customer at Yank's Franks today (Christina and Ellen were working while Hot Diggity and I did some YF chores) and I ordered a Chili Dog, an order of Yank's Franks almost famous French Fries and a Yank's Franks Root Beer. It was the first time I did this and I sat outside on the front porch, I mean the veranda. I must say, I was thrilled. The food was fantastic, the Root Beer was amazing and the veranda is so relaxing. It was everything that Hot Diggity and I were hoping to achieve.